I don’t know. 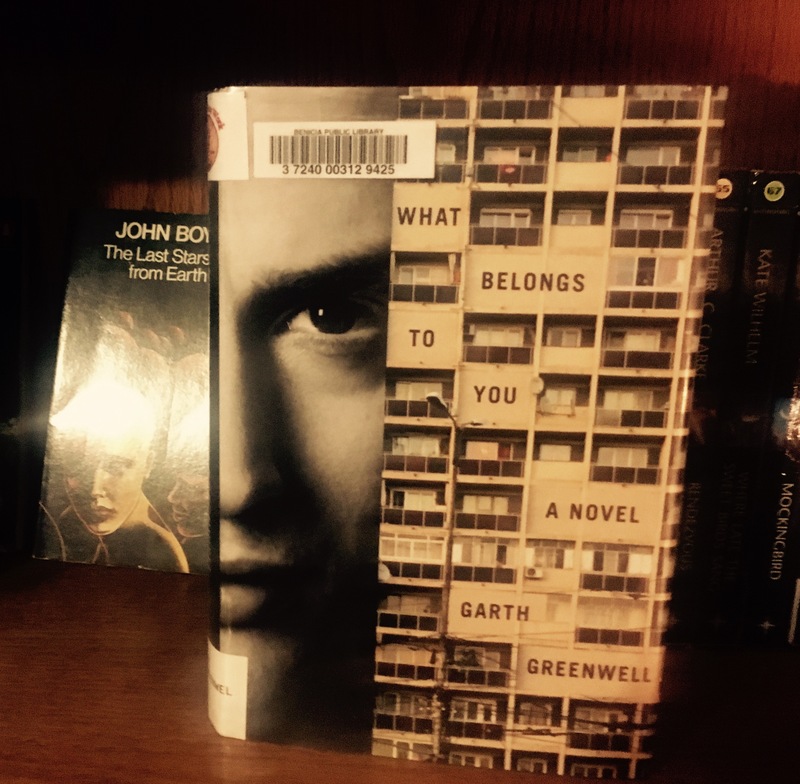 I guess I liked What Belongs to You, Garth Greenwell’s debut novel, maybe in spite of myself. In What Belongs to You an American school teacher living in post-soviet Bulgaria meets a young hustler in a public men’s room. Over the following months he seeks out the young man again and again, developing a relationship made up of desire, loneliness, and something like love. Not love, but something like it. For a while. To be honest, I was a bit surprised to find this is still a plot in 2016. It used to be a standard plot line in gay fiction and gay film back in the 1970’s and 1980’s when both were outsider art forms you had to look for even in big cities. It became such a cliché that it was even made fun of in a movie I saw at the San Francisco LGBT Film Festival circa 1986. I thought we’d moved beyond this story line. But, it was a good book. So there’s that. There really are just two things in the novel, the characters (two of them) and the setting. The narrator, who is unnamed, keeps the story focused on his relationship with the hustler, Mitka. This is not a romanticized relationship, there is no magical moment when the two find true love or when one leads the other to a triumph of the spirit or even a deep realization. The story remains firmly rooted in the real world. It’s all very believable, very sad, kind of pathetic in the end. Urban Bulgaria is quite a setting. Reading What Belongs to You made me feel like I was there. It feels bleak, it feels institutional, it feels isolated and lonely. I didn’t like it at all and wanted to leave. But making me feel that way is a sign of a well written book. I would read more by Garth Greenwell. The best story lines never really disappear do they? I’m just not convinced this is one of the best. While there are some good stories based on this plot, I think most of them are not very good. The LGBT ones tend to be products of the closet in my experience.